I’ve been a part of Farmer Phil’s Festival since the very beginning! I’m part of the core team that organises Farmer Phil’s Festival each year. 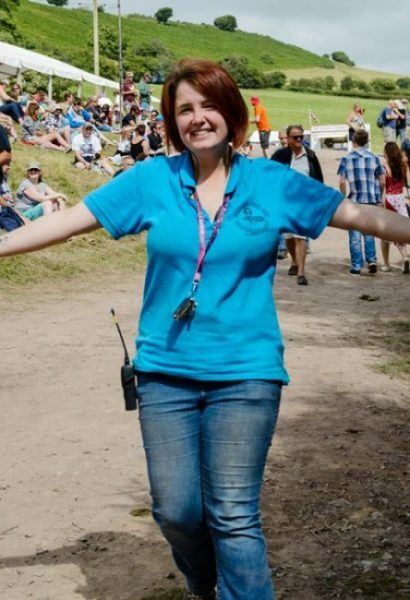 During the Festival I’m on hand to assist other members of the team and, of course, our lovely festival goers… I like to think I help everything run smoothly from start to finish. Being involved in the Festival from the very beginning has enabled me to mix with some tremendously talented performers and as the Festival’s reputation grows I suppose it’s definitely my biggest claim to fame. In addition, I was lucky in 2016 to be part of the security team at the X Factor live shows in London, working in the Meet-and-Greet section. I have so many fantastic memories from having grown up with the festival. In the early years when I was much younger, my sister, step-sister and I were allowed to run our own sweet stall from the back of a trailer, which was great fun. And now I’m heavily involved with helping with the running of things. Seeing and hearing so many positive comments about the Festival, meeting and befriending so many incredible artists and being part of our amazing team that really feels like a family to me – it’s like I have a new set of favourite Farmer Phil’s Festival memories every single year and I couldn’t ask for more!